10 Free Online Games For German Learners - Start Gaming! 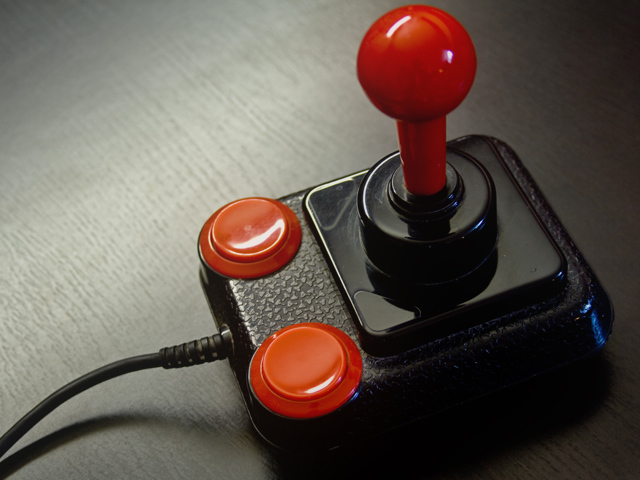 Playing video games can be a fun way to learn German (or any language, for that matter), but the problem is that most games designed specifically for learners are utterly boring, so learners will often be better off to just play games designed for native German speakers. I’ve already written about how to use classic adventure games or your Steam library for learning German by gaming. Today, I’d like to show you a few games you can play directly in your browser, no downloads needed. One of the best ways to learn German through online games is with a good text-adventure. Don’t know what I’m talking about? A text-adventure is basically an interactive story where you get to decide over what happens next, like a choose your own adventure book, only digital. A benefit of reading/playing in your browser is that you can easily use tools like lingua.ly to translate and save words for further study. 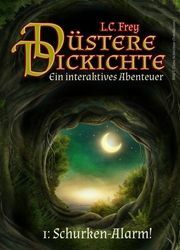 Another story by the same author “Düstere Dickichte 1: Schurken-Alarm!” is more of a fantasy-adventure story. You’re a mercenary working for the emperor’s army to get rid of a bandit’s nest. Do you have what it takes? If you’re looking for an interactive story written specifically with German learners in mind, I’d also like to point you to my own project “Aschkalon”, a medieval fantasy adventure spanning over three episodes. You can get the books as paperback editions, in Kindle format or just read them in your browser, for free. 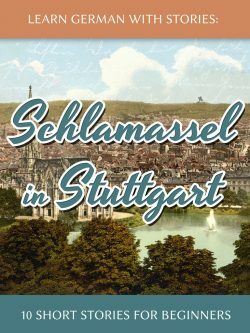 Still can’t get enough of German text-adventures? Head on over to ifwizz.de, a huge database for these types of interactive stories in many languages, including German. Another great genre for learning languages is the classic point & click adventure. I’ve written a more detailed article about this here, but today I’d like to focus specifically on point & click adventures that you can play in your browser. 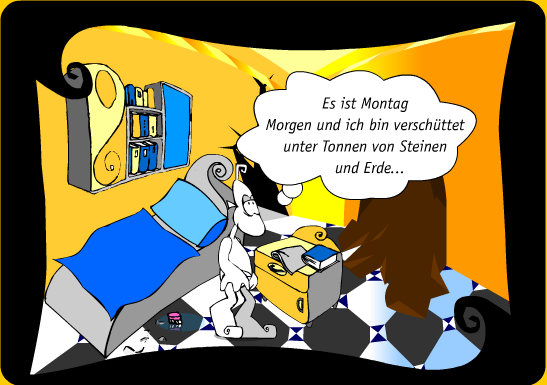 “Leos großer Tag” is a charming little adventure about a strange creature waking up to a landslide on a Monday morning. The game is flash-based, so it won’t work on most mobile devices, but if you’re on a desktop computer you should definitely give it a try. 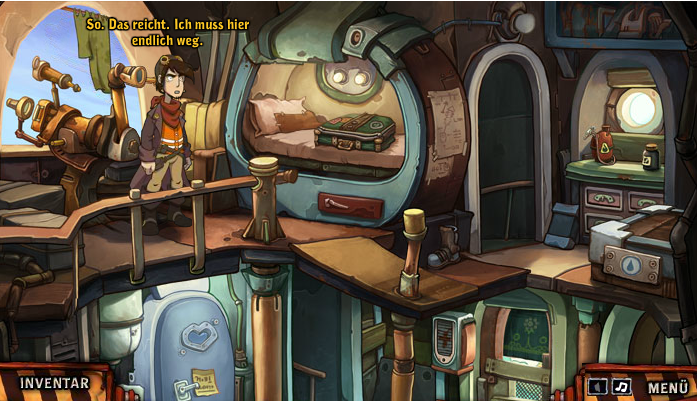 “Deponia”, by the German studio Daedalic Entertainment has become somewhat of a household name among point & click fans recently. There’s a lot to say about the story, but if you like wacky humor and weird puzzles you’ll love Deponia. You can play a demo of the first episode on their Facebook page (flash-based). Remember when I said that most didactic Games are boring? Well, the Goethe-Institut has been making a lot of efforts to change that, and while their games may still not be as exciting as “real” games, at least they offer something else than the same old cross-word puzzles and quizzes of other educational sites. In “Das Geheimnis der Himmelsscheibe“, an adventure and puzzle game developed by Reality Twist for the Goethe Institut, you play an art expert, trying to unravel the mysteries of the 40,000 year old Nebra sky disk. By engaging in dialogues with other characters and solving (didactic) puzzles, German learners (around A2) will be able to apply and improve their German skills. In another game by the Goethe institut titled “Erfindergeist” you can learn about German inventors and help them make decisions while they send you text messages. Since the game is not flash-based you can select and copy unknown vocabulary for translation or further study. An English version of this game is also available, so you can check your comprehension. First of all, I have to say that I’m not a big fan of the Free to Play (F2P) model where a game itself is free but players are encouraged every few steps along the way to buy upgrades, accelerations and virtual currency with real currency. Quite frankly, I think it ruins most games. But when you are looking for quality strategy games nowadays that run in your browser, it’s either nerdy text-heavy games (check out this site if that’s your cup of tea) or more mainstream F2P games. That’s why I’ve decided to mention two strategy and planning games here which are F2P but actually seem like fun and not just quick cash grabs on the developer’s side. 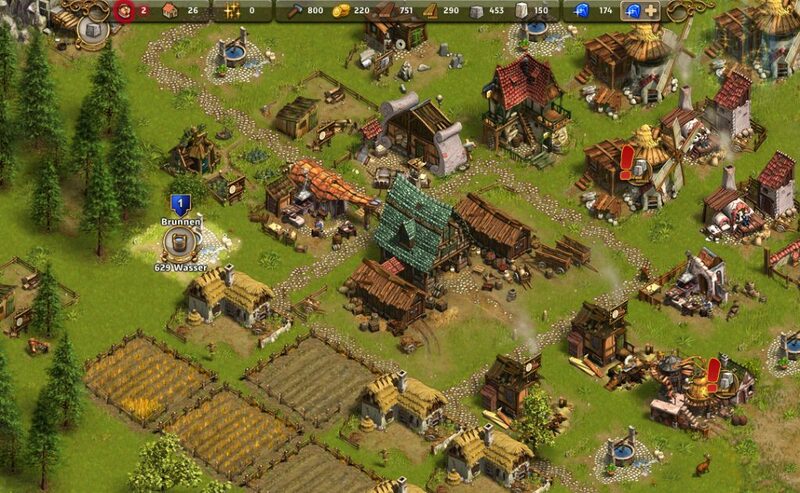 “Die Siedler” is a famous game series about building and managing your own settlements and economy originally developed by the German “Blue Byte” studio. With “Die Siedler Online”, you can now build, expand and micro-manage your settlement in your browser and learn a lot of related vocabulary along the way. Actually, simply by following the quests which will show you the ropes, you can lean quite a bit of German. It’s not always that easy and the economy can get quite complex, so if you’re a beginner it helps if you’re familiar with these types of games in general or the English version Settlers Online in particular. As with all F2P games, the game is free, but you can purchase “blue diamonds” to speed things up here and there, but from what I’ve seen this is not a “pay to win” situation. Besides, if you just want to dabble a bit in settlement building and marvel at words like “Nadelholzfällerhütte” you probably will never have to spend a dime. Have you ever dreamed of managing your own German football club and join the national league? 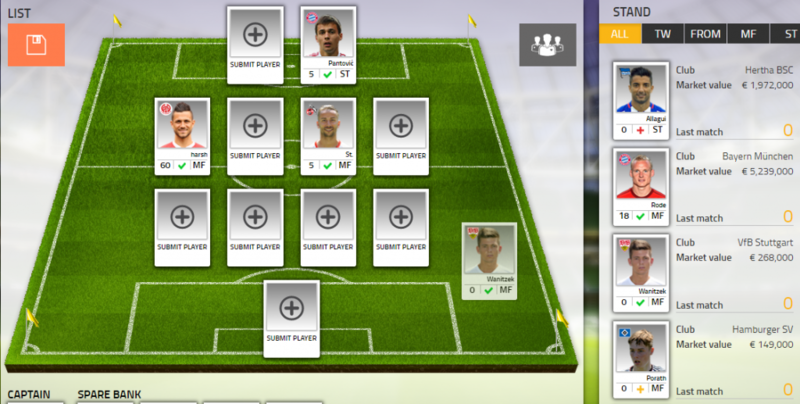 Well, with “Bundesliga Manager“ you can do it from the comfort of your chair. Found your own club, fine-tune your lineup and rise in the league. Obviously, this game features a lot of highly specific football-related vocabulary, so not everyone will be interested in this. But a big bonus is that all text on screen can be translated with Google Translate or other language-related browser extensions. Also here there is an option of buying virtual currency to accelerate and simplify certain aspects of the game, but if you just want to casually play and learn a bit of German, it won’t get in your way. Of course there are many other browser-games you could play, but it’s not always easy to find games in German, because most websites dedicated to browser games don’t let you filter by language. Having said that, I’d like to recommend one more casual game, which is in German and just too charming to pass up. 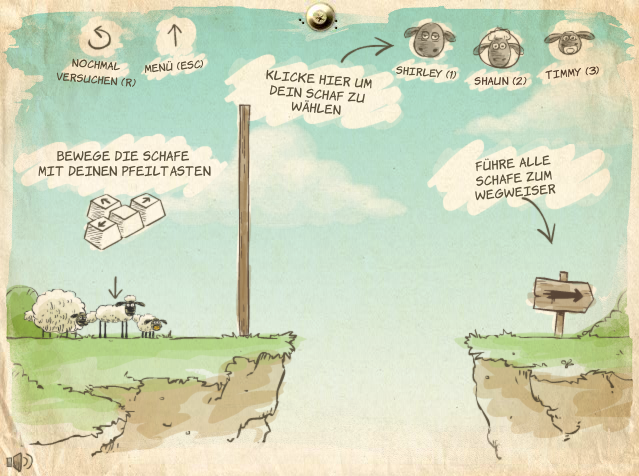 “Schafes Heim, Glück allein“, is a puzzle game, where you have to navigate obstacle courses by using three different sheep with different properties. It’s quite fun actually and the art style and sound is very well done.